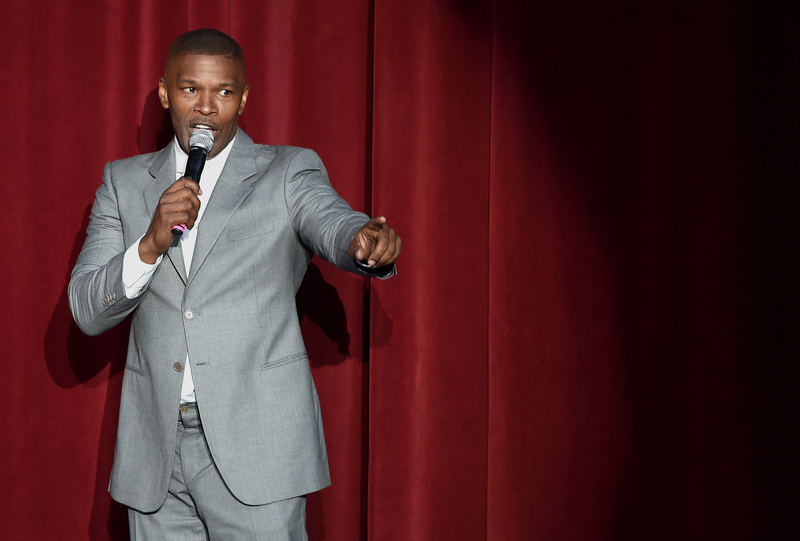 Jamie Foxx Is Producing A Marvin Gaye Limited Series, But Who Will Play The Singer? Finally, the show television has been waiting an eternity for: Jamie Foxx is producing a limited series about Marvin Gaye. But will Foxx play Marvin Gaye himself? This remains to be seen. It seems significant that the actor has been one of the blessed few to get the Gaye family seal of approval on the project. As the Hollywood Reporter states, "F. Gary Gray, Cameron Crowe, James Gandolfini, Scott Rudin and actors including Jesse L. Martin and Lenny Kravitz" have all tried to launch their own projects about Gaye, but, when none of their efforts were authorized by the Gaye family, they moved on. It seems unlikely that the family would have given the TV series the green light without knowing who would play the legendary singer, and Foxx is more than qualified for the role. After all, he played Curtis Taylor, Jr (based on another big name in the Motown scene, Motown founder Berry Gordy, Jr.) in Dreamgirls and Ray Charles in Ray (for which he won an Academy Award for Best Actor). He's clearly more than competent at portraying musical geniuses and the men surrounding them. But if Foxx declines to take the role, who would make a good Marvin Gaye? Just like Foxx, Elba isn't just a supremely talented thespian but a musician to boot. His musical talents are wide-ranging: he's a DJ and electronic artist, he raps, and he sings. He's the same age as Gaye was when Gaye passed away, which could prove a little tricky for representing Gaye in his younger years, but also, let's be real: Idris Elba does not look 44 years old. He also doesn't seem to be intimidated by taking on legendary figures. In 2013, he played Nelson Mandela in the biopic Mandela: Long Walk To Freedom. ...as Oscar, Jordan at moments gives off vibes of a very young Denzel Washington in the way he combines gentleness and toughness; he effortlessly draws the viewer in toward him. Basically, he has the raw charisma to helm a series of this caliber. After waiting this long for a series about the musician, one thing is clear: we can wait a little longer for the right Marvin Gaye. Here's hoping whoever they cast has the emotional and musical heft to take the part.